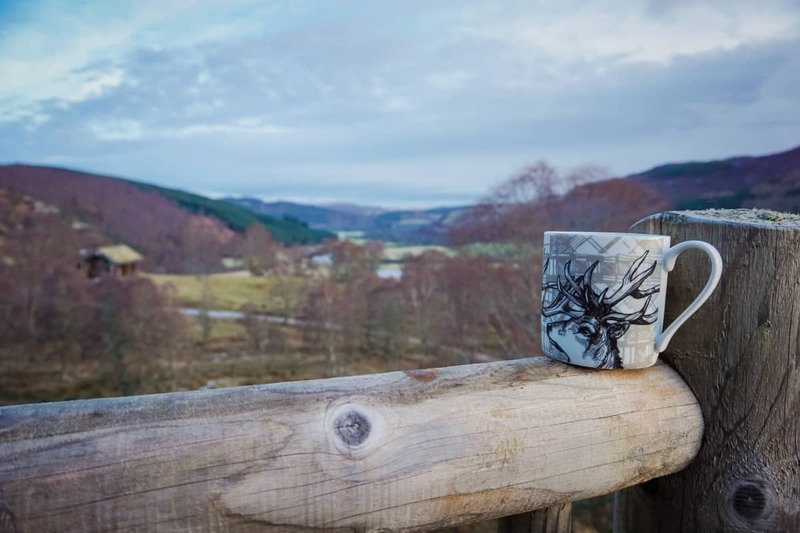 There is nothing quite like the peacefulness and sense of calm that washes over you the further you head into the Scottish Highlands, the air feels different, the light is different and it is just wonderful. 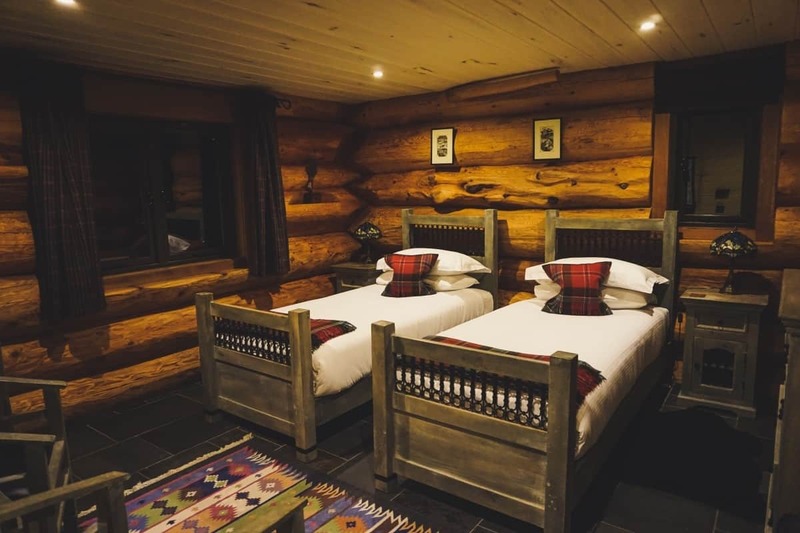 I spent part of last week staying in the luxurious Aquila, one of the traditional log cabins at Eagle Brae. 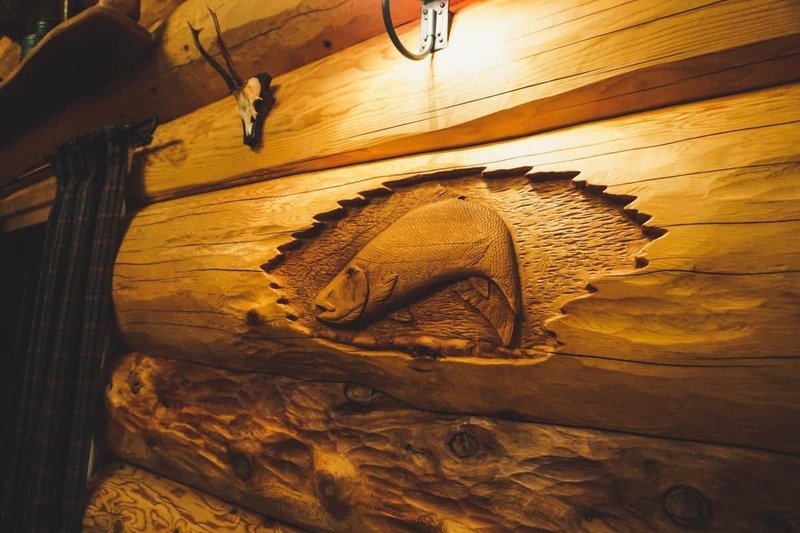 Now when I say traditional, I really mean it; all the cabins on site (currently six with three more being added this year) are constructed by Pioneer Log Homes of Canada, so they’re not like the sort of cabin that a holiday park calls a ‘log cabin’. The logs are carefully selected and slotted together to create the most amazing looking structures that blend in with their surroundings. 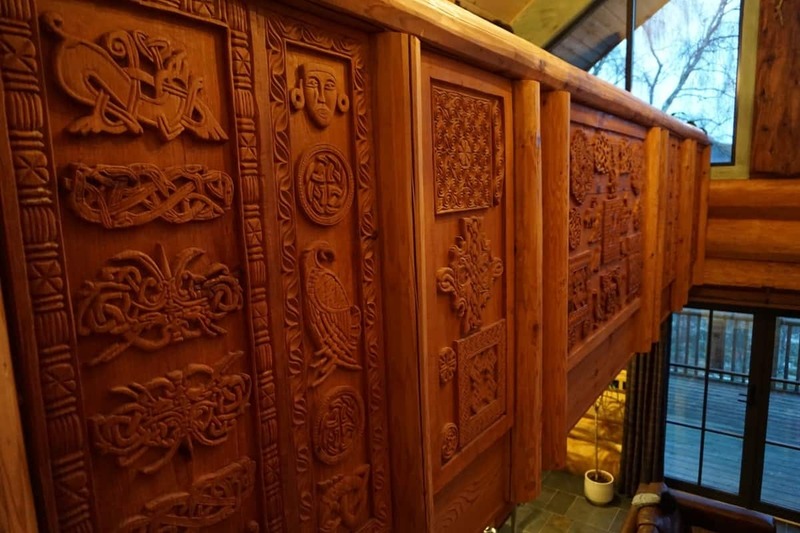 Inside the logs are all exposed so you can see the natural grain, and the smell as you enter the house each time is just divine. 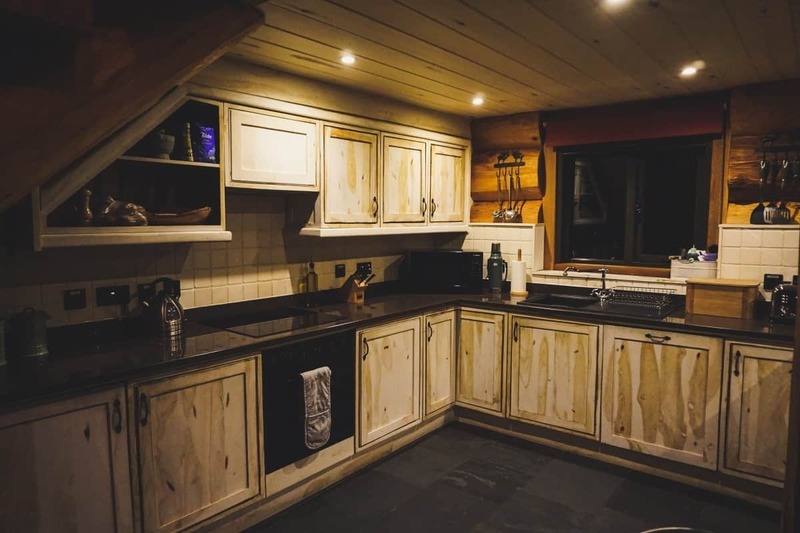 Aquila is a two storey cabin, with a large homely living area, huge and fully equipped kitchen and a spacious dining area. There is also a double/twin room and a large bathroom downstairs. Upstairs there is another double/twin, with a spacious ensuite. Overlooking the living area is a desk complete with PC and printer, and two cozy bunks, each with their own curtains to draw and a little light, and crisp white bedding to climb into. Storage drawers beneath meant I could pack everything away neatly too. 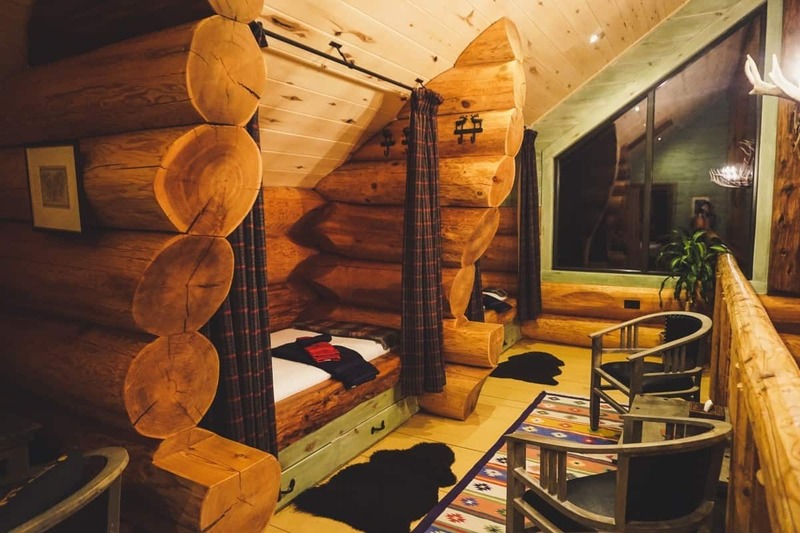 I was lucky enough to get to sleep in one of these and slept so well; normally when I stay away from home I wake up a couple of times out of unfamiliarity, but I think the combination of the enclosed feeling, the warm log cabin and the clean air made for the perfect night’s sleep. Fluffy towels, toiletries and the deepest bath were the finishing touches to a perfect nights sleep! 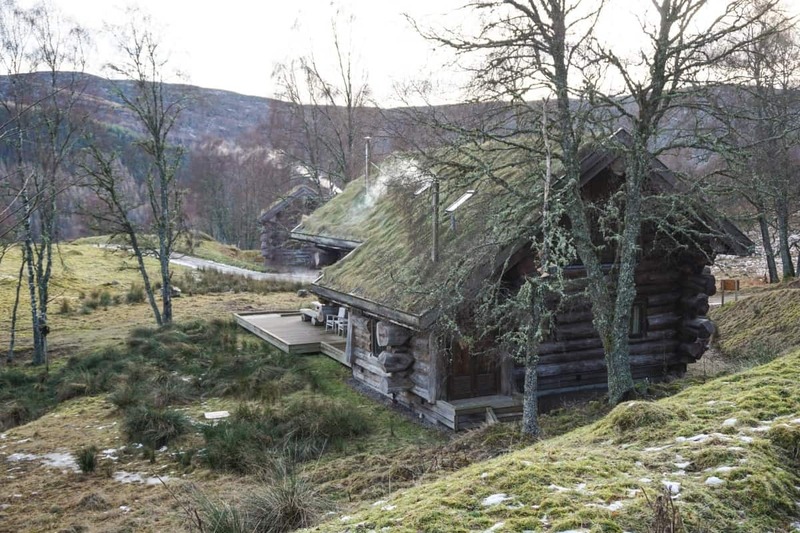 When we arrived at the cabin we found it warm, despite the chilly temperature outside, and with three choices of evening meal pre-prepared for us, all we had to do was cook the veg and heat the meals up. This is service offered by Mike and Pawana, with a choice of around 10 meals, locally sourced and lovingly prepared and is the ideal way to eat great food with little effort from yourself after a day travelling or exploring the Highlands. The kitchen is fully stocked with all the crockery, cutlery and equipment you need- complete with a dishwasher, washing machine and decent cooker and hob. There’s even a wine rack! 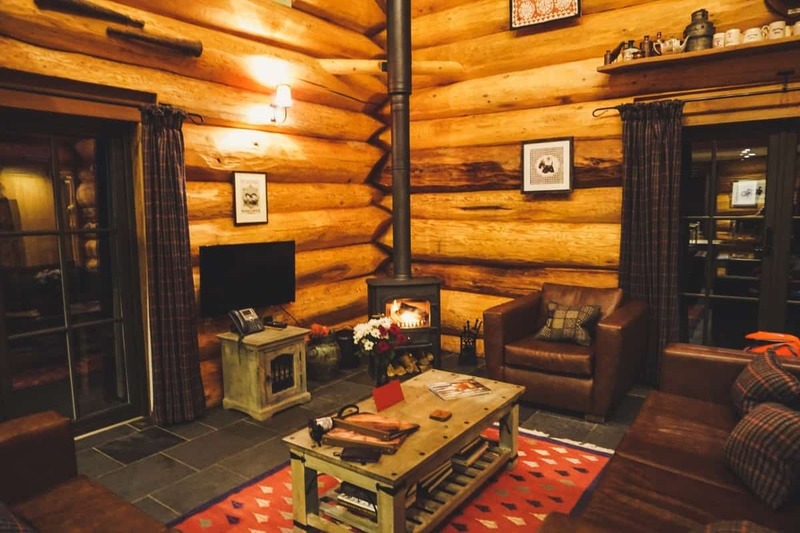 In the living area TV with satellite channels and a stereo too, and those paired with the comfy sofas, fresh flowers and log burning stove you’ve got everything you need for any type of get away! Oh, there’s underfloor heating too. 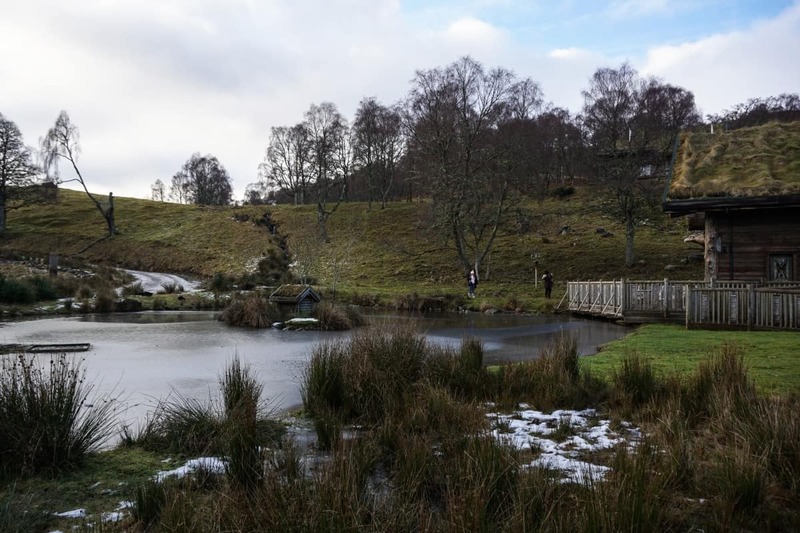 We all commented on how perfect Eagle Brae would be for a writer to come to really get stuck into their writing! 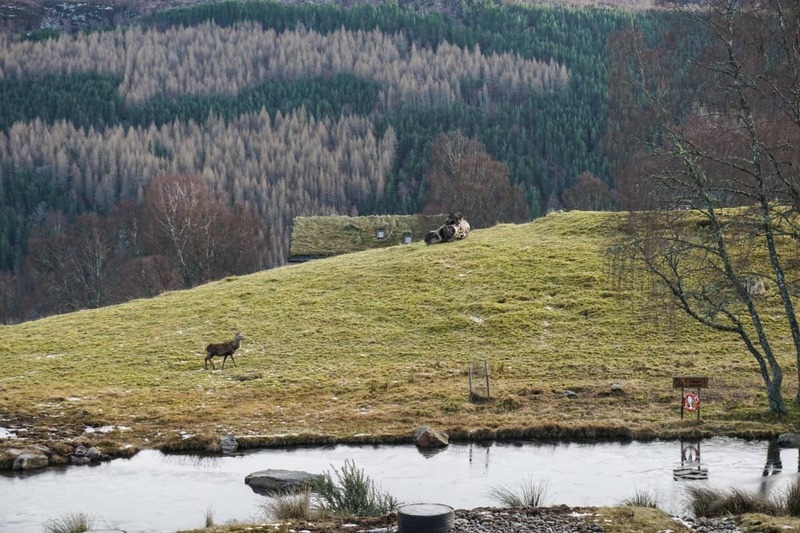 Aquila had a gorgeous wrap around decking that acted as a viewing platform for the rolling, snow topped hills, meandering River Glass and all manner of wildlife, the highlight of which was a midnight visit from a stag, no more than 5 feet away from the cabin! 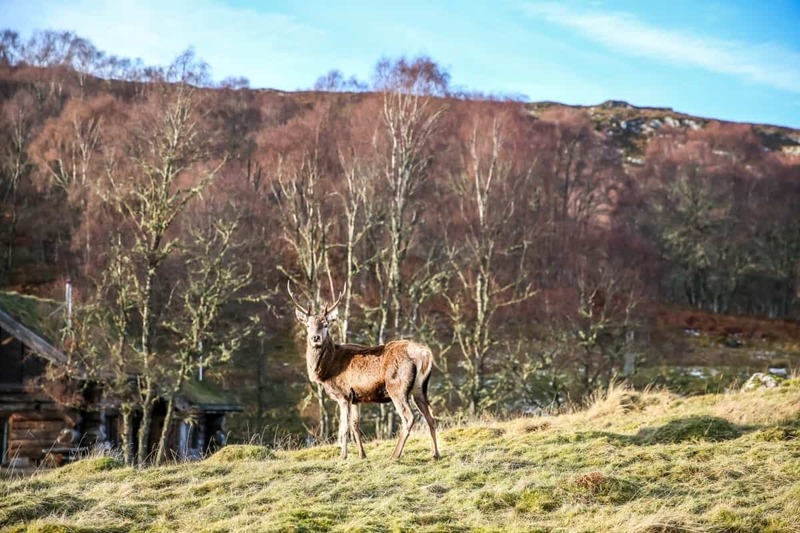 We saw this majestic beauty on Wednesday morning during a stroll around the the grounds, and he just wasn’t phased by a load of ladies gawping at him and snapping away with their cameras, and I found out later he’d been born in the grounds, hence how unphased he was by us all! 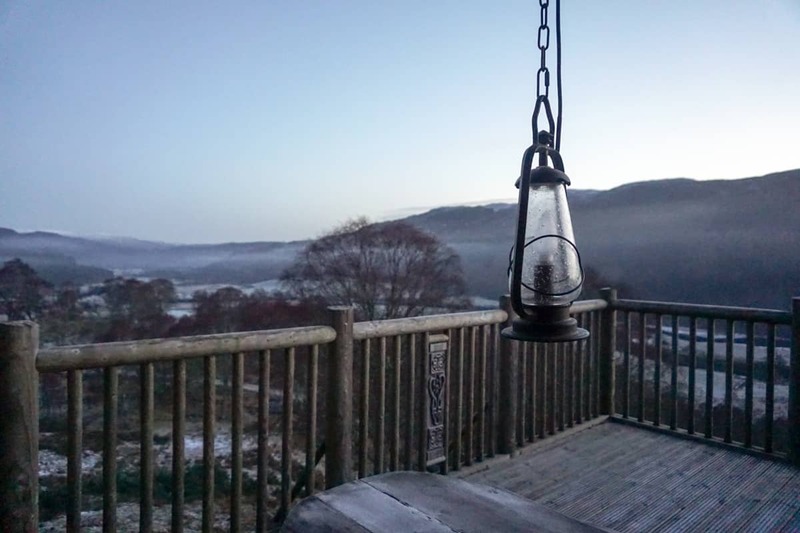 I tell you, sitting outside each morning with a frost all around with a mug of steaming tea was something out of this world, all you could hear were birds and the odd rustle from the undergrowth- it was the perfect start to the day. We were only staying for a couple of days, so wanted to maximise our relaxation time but had we been staying for longer there were a lot of activities to choose from, including fishing, stalking (both the traditional kind and the camera kind, which would be more my cup of tea!) 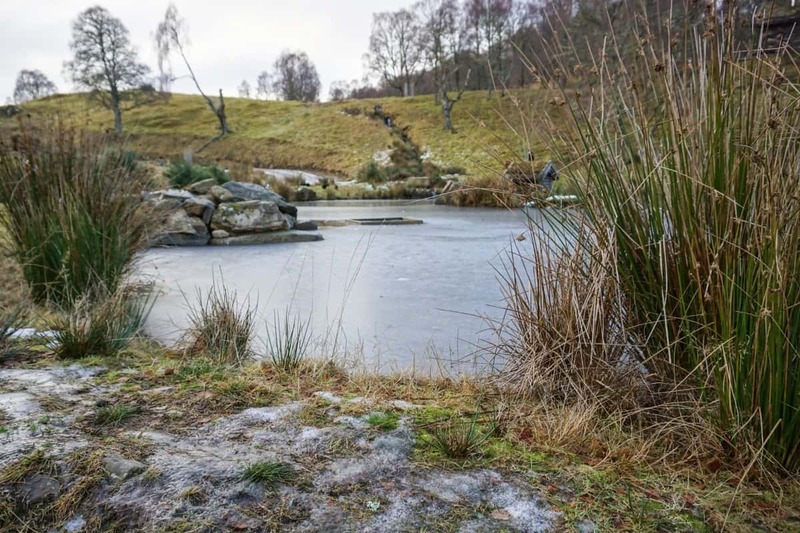 and lots of other outdoor adventures, as well as a selection of pre-bookable beauty treatments too. There really is something for everyone, and the concierge service allows you to pre-book activities, wine, groceries and their delicious prepared meals. 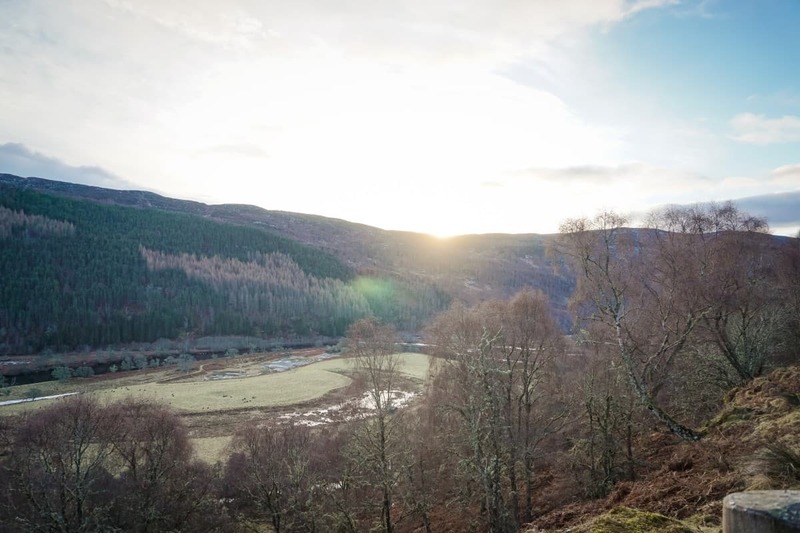 Something that really stood out was the attitude towards the environment that Eagle Brae encourages, each cabin had marked recycling crates, including food waste. 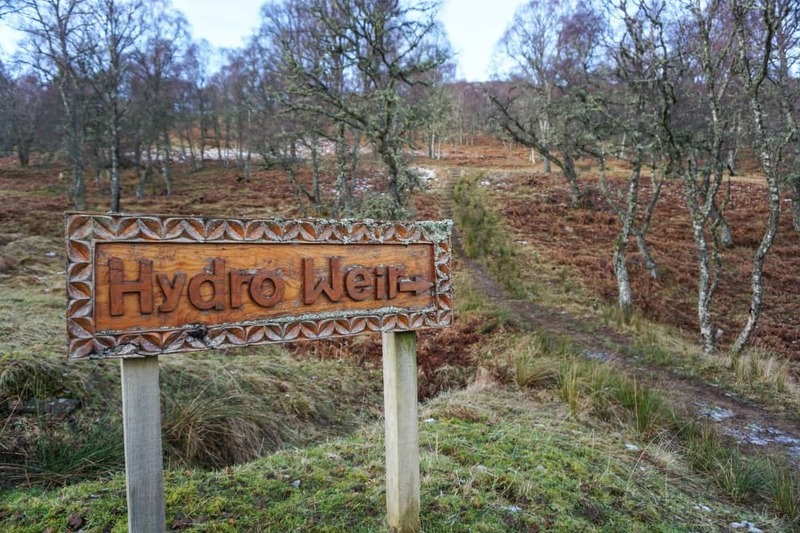 Their water is sourced from their own borehole, and they treat waste water so thoroughly that it is allowed to be piped into the local river. Even the cleaning products they use are environmentally friendly! 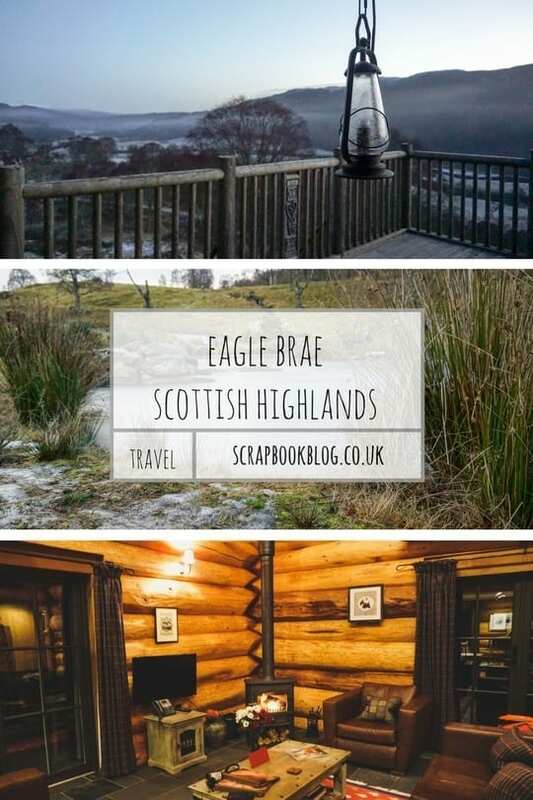 I received a complimentary stay & evening meal at Eagle Brae in exchange for this review. Wow! This place looks absolutely amazing, I would really love to take my family here and this is definitely on my list of places to visit. I’ve never been to Scotland and I really want to go.